[Errno 14] PYCURL ERROR 22 - "The requested URL returned error: 404 Not Found" Trying other mirror. The default port Webmin & Virtualmin listen to is port 10000. Many security professionals believe that changing the default ports of well-known services (e.g. SSH at port 22) to a different port does nothing to make the server more secure. In a way, they are correct, but nevertheless, there are many benefits of changing the default ports of the well-known “admin” services – such as Webmin/Virtualmin and sshd. The most important benefit is that it discourages automated scanners – usually run by script kiddies looking for systems to exploit. These automated scripts will usually “move on” to another target if the known-ports are closed, e.g. if port 10000 is closed (i.e. Virtualmin listening at a different port, say, 10101), the automated script will then go on to another target in the list. This saves resources on your server because usually, these automated scripts will follow up with a password cracker/brute-force attack to try to guess the passwords if it finds the port 10000 open (i.e. 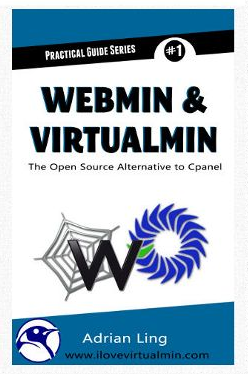 Webmin/Virtualmin is running on that port). This cause un-necessary stress on the server. Furthermore, if the administrator’s password is weak, there is a high probability that the brute-force password attack may work. 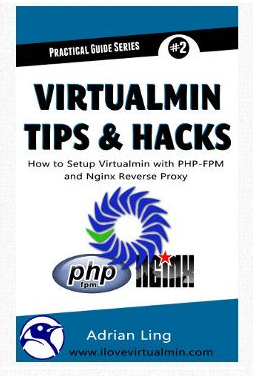 So, for those reasons, I would say, take a couple of minutes to change the default port of your Webmin/Virtualmin server. Recently, I installed the RPMForge repo to setup “mod_fastcgi” on my Virtualmin server. 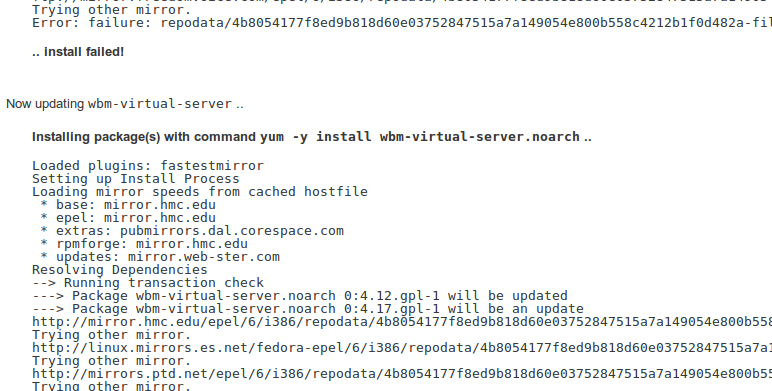 In the “yum update” process, it inadvertently upgraded the AWStats package from the default Virtualmin package awstats-7.0-3.el6.noarch to Repoforge’s awstats-7.1-1.el6.rf.noarch. This caused the dreaded Error – Missing Headers in AWStats! Searching further, it seems that Virtualmin do not recommend using 3rd party repositories as they can cause conflicts to existing packages, as in this case. I have 2 options – disable RepoForge’s repository, remove AWStats and then re-install AWStats from Virtualmin’s repo again. The risk with this method is that I might lose my existing traffic data. So, the other more long winded method is to find out where does Virtualmin store the configuration for AWStats software and see if I can change the settings – fortunately, it is relatively easy to do so. Goto Virtualmin –> System Settings –> Features and Plugins. Full path to AWstats plugin directory: /var/www/awstats. Click “Save” and AWStats should be working fine again. Here’s the final screenshot after the change. CentOS 6.5 ships with the default PHP 5.3.3 (although support for PHP 5.3 officially ended on 14th August 2014). Naturally, the CentOS team has backported all the security issues discovered in PHP5.3, and it is a stable and matured version. 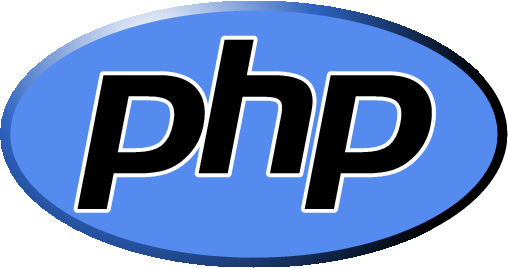 However, the PHP team at php.net recommends upgrading to PHP 5.4 to fully benefit from all the recent enhancements, bug-fixes and security patches in PHP. This tutorial will guide you through the steps needed to upgrade PHP 5.3 to the latest PHP 5.4 without breaking any of existing websites in Virtualmin. The first step is to install the “REMI” software repository (this software repo is maintained by French guy, Remi Collet) and it (usually) has the latest stable version of the software used by RedHat/CentOS and the EPEL repo. In fact, it requires the EPEL repo to be installed on your server before you can install the REMI repo. For the purpose of this tutorial, we’ll be using the repositories for CentOS 6.5. The command above may seemed a bit odd, why “upgrade mysql” when we want to actually upgrade PHP 5.3 to PHP 5.4? The reason is that the yum software utility will install/upgrade all dependencies to ensure that all the software pieces work together. Once the installation/upgrade process has completed, you need to run the ‘mysql_upgrade’ command to update some of the essential tables in MySQL 5.5. This is the final step before you restart Apache. In the /etc/httpd/conf.d/ directory, you will find the following *.conf files – e.g. This will prevent your PHP powered websites from breaking when you restart Apache. Now, go ahead and issue the command to restart Apache and enjoy the latest version of PHP 5.4.34 (as of Oct 2014) on your Virtualmin server. Virtualmin uses different terms which you may find confusing – especially if you’re coming from the Cpanel/WHM background. 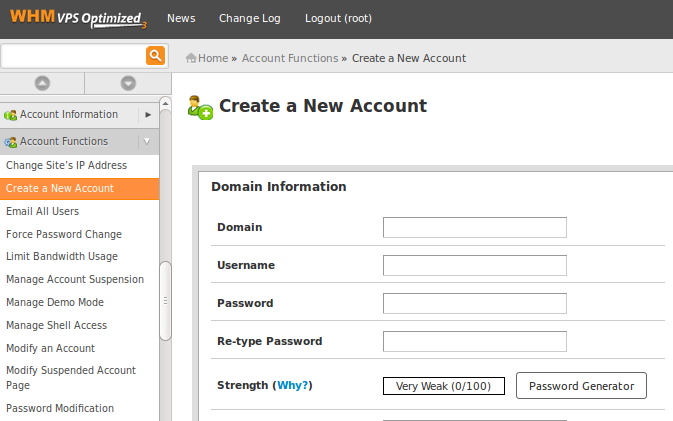 For example, a “hosting account” in Cpanel is known as a “Virtual Server” in Virtualmin. In the Cpanel/WHM, one would click on the “Create Account” link to create a new hosting account, and select the appropriate hosting packages. The default is “Top level server” – which means, you’ll be creating another separate hosting account (i.e. different user/login ID). If you click on the “Sub-server” link – you can either create an “addon” domain (in Cpanel lingo) or a subdomain of the parent domain in this Virtual server. (Refer to the “Sub-servers Vs Addon Domains” section in this article). I want to highlight the “Server Configuration Template” – from the screenshot above, you can see that it is showing “Server-X1″ as the template to create this new virtual server. A Virtualmin’s “Server Template” is a powerful feature that enables the system administrator to custom-tailor what features to enable or disable for the virtual servers. For example, you can create a Server Template #1 that enables the “Mailman” mailing service and the MySQL database, and create another Server Template #2 that does NOT have “Mailman” and runs the PostgresSQL database instead of MySQL. This allows you to create 2 different type of Virtual Servers (hosting accounts) – one that uses the MySQL database and has the Mailman mailing service enabled, and another type that uses the PostgresSQL database and does not have access to Mailman service. You can create as many Server Templates as you want, each with different settings and functionalities. This is another source of great confusion – especially if you are familiar with Cpanel. In Cpanel, your main hosting account is associated with the primary (main) domain, let’s say “Foo.com”. You can also create additional domains such as “Bar.com” or “MyFoo.com” under your main hosting account – these domains are known as “Addon” domains in Cpanel. If you create “recipes.foo.com” in Cpanel, it is known as a “subdomain”. But in Virtualmin, the main/parent domain “Foo.com” is known as the parent “Virtual Server”, and if you want to create additional domains such as “Bar.com” or “MyFoo.com” – these are known as “Sub-server” in Virtualmin (not “addon” domains). What about “recipes.foo.com”? In Virtualmin, it is also known as a “Sub-Server” – yes, I know, it’s confusing. But this is the naming convention chosen by the developers of Virtualmin. After a while, you’ll get used to it and it won’t be as confusing as before.